The warning light is on as long as the limit value is exceeded or not reached. The warning light is not on. 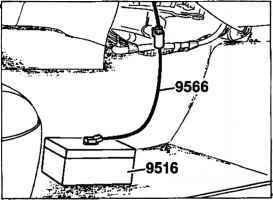 In the case of fault codes 50, 51 and 65, the warning light is on as long as the limit value is exceeded or not reached. ** The fault memory cannot be cleared. The triggering unit must be replaced. 2. 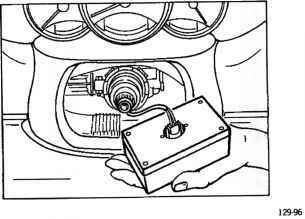 Attach the special tool 9516 instead of the airbag unit. 4. Check whether the fault appears again. 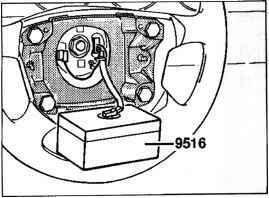 a) If the fault does not appear again, replace the airbag unit. 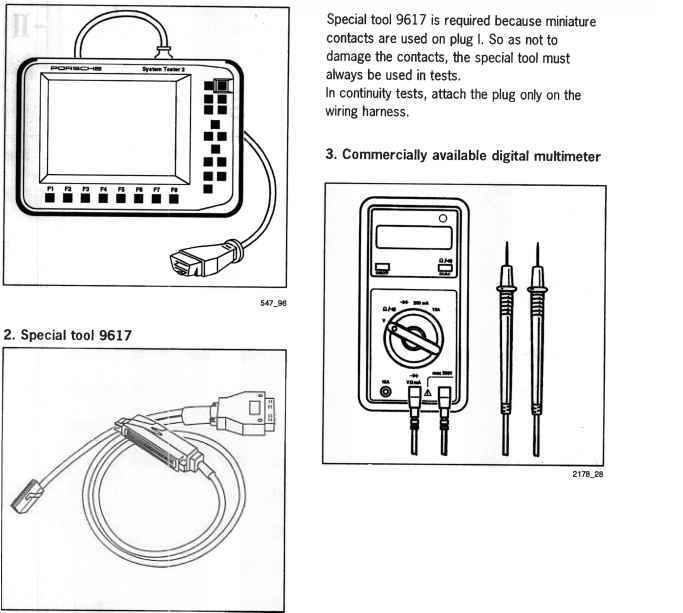 b) If the fault appears again, disconnect plug connection to the contact unit and attach special tool 9516/1. 5. Clear the fault memory. 6. Check whether the fault appears again. a) If the fault does not appear again, replace the contact unit. 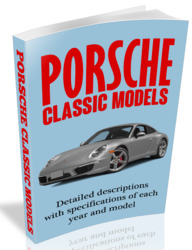 b) If the fault appears again, check the wiring harness for pinches and chafing damage. 1. Clear the fault memory. 1. Disconnect the plug connection to the passenger's airbag unit. a) If the fault does not appear again, replace the passenger's airbag unit. 2. Inspect the plug connection on the triggering unit for corrosion.